What’s better than having all of your data in one place? Having it all in the palm of your hand. Got stage hands that help get the performers on and off stage or prepare trophies. 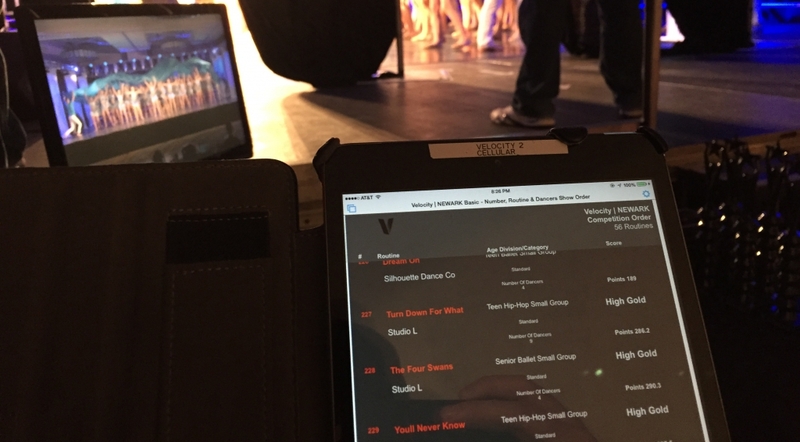 Simply put an iPad in their hand, connect to TourPro and now your backstage managers can notify your Judge Monitor of who is ready, who is not, and prepare the trophies so by the time the last routine performs, everything is in order. 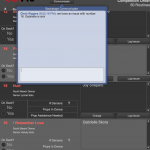 TourPro Air offers you realtime results and two-way communication between the back stage and show runners. No more yelling over walkies. 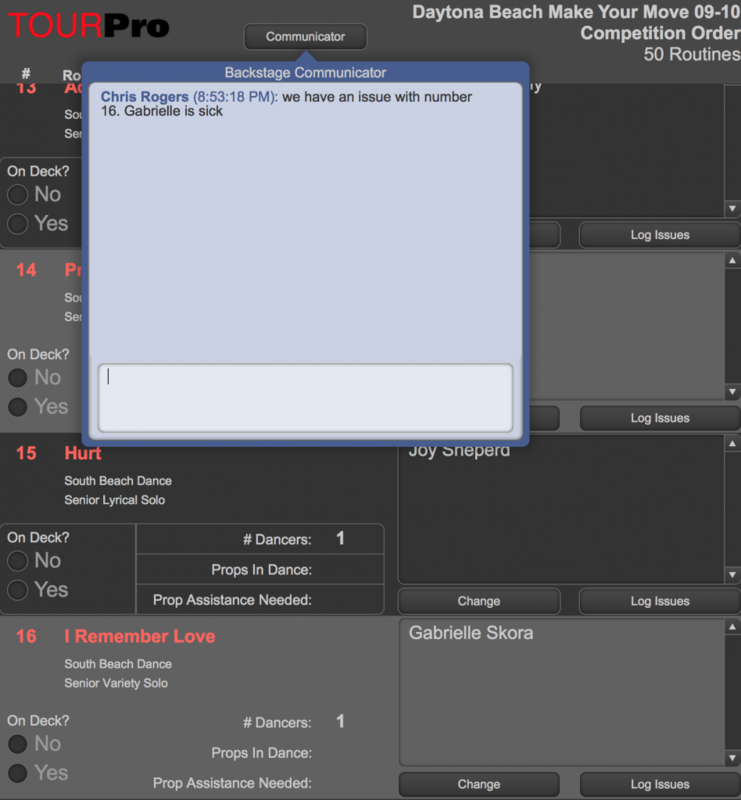 With a built in chat system, realtime scores, trophy counts and issue tracker your backstage hands can give those in front of the stage a better idea of whats going on backstage so that you can run a smooth competition.